The San Jose Sharks are one of three National Hockey League (NHL) teams based in California and form part of the Pacific Division of the Western Conference. Since joining the league in 1991, the team has seen some success, but has yet to lift the coveted Stanley Cup despite making it to the final in 2016. Known for being possibly the strongest team based in California, many sports bettors have a good feeling that despite their recent unsuccessful run, the Sharks may soon lift the Stanley Cup trophy. On this page, we have a look at the standings, fixtures and odds related to the San Jose Sharks this season. 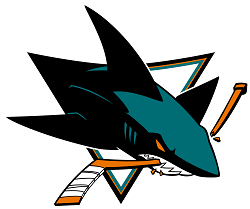 These sportsbooks are sure to give you some of the best odds on San Jose Sharks matchups as well as any other NHL games for that matter. Despite not yet having lifted the Stanley Cup, the San Jose Sharks are arguably one of the best teams in the NHL in recent years. Under the leadership of Peter DeBoer, the team has consistently performed well, even going so far as to make it to the finals in 2016 where they would go on to lose against the Pittsburgh Penguins (who would go on to retain the title in 2017). Overall, we don’t fault anyone who would like to bet on the Sharks in sort of way or form. They have proven to be a strong team in both home and way games and continue to impress. We also tend to recommend that bettors try and focus on analysing a team’s defence rather than offense when placing bets. So far, the Sharks have had a rather even season – at the very least scoring more than they are conceding at this point in time.